On Monday, Holden and I had our last outing just the two of us. We had lunch at a soft play cafe then Holden chose a soft toy jellycat bumble bee as a gift for his little sister which he then brought to the hospital with him when he visited us for the first time. On Tuesday and Wednesday Holden was still at his nursery for the full day. My mum came down on the Tuesday to help me tidy up in the house and cook some meals to put in the freezer, then we enjoyed a lunch out afterwards. That night I also got some of Holden's baby book done and although it's still not finished, at least some of it is! 7.45am. Once we got back we met my dad for a late lunch then picked up a couple of things at the shops, before coming home to pick up Holden. My parents took Holden to stay at theirs on Wednesday night since we had to leave so early on Thursday morning. They brought him to the hospital on Thursday afternoon and evening then he stayed with them again and he came back to the hospital on Friday afternoon. He stayed at my parents until Saturday when they brought him back once we got home from the hospital. I had a shower on Wednesday night so I didn't have much to do in the morning. 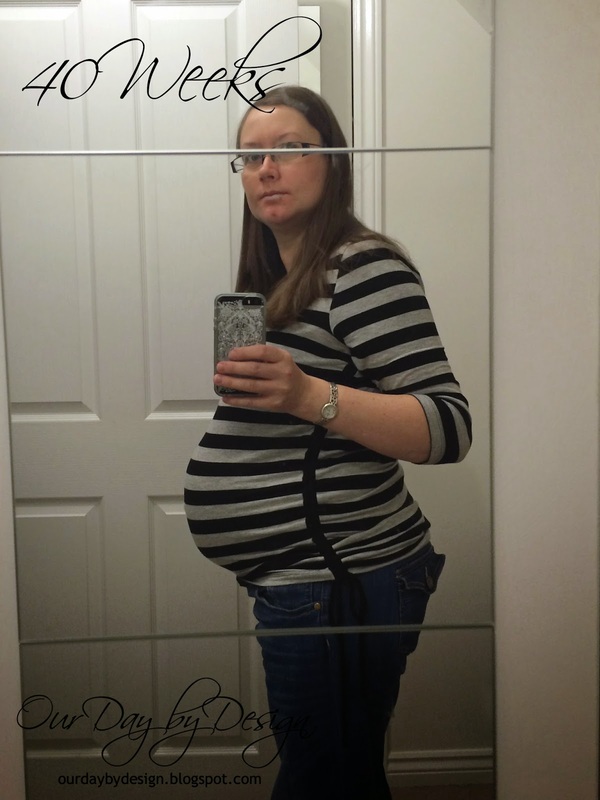 On Thursday morning, at exactly 40 weeks on my due date, we went in to the hospital for 7.45am. I was taken really quite early and Eden was born at 10.26am.